Collaboration between Korea, China and Japan aiming to establish a double degree program in animation. To cultivate global creative manpower through international collaboration. To provide up-to-date training in new media technology and explore innovative methods of creative expression. To develop practical skills and nourish creative talent through academic-industry collaborations. 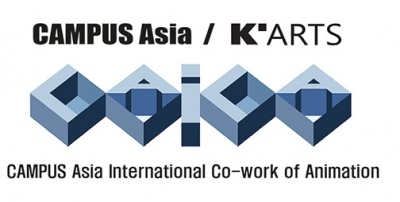 To establish an international animation education hub through collaboration between Korea, China and Japan. In the age of digital media, animation is specializing in areas that transcend the field’s traditional boundaries as the convergence of arts and technology accelerates. Animation in combination with live-action footage, audio, and text plays a critical role in videogames, publishing, exhibitions and live performances. Animation is created through a delicate balance between traditional arts and cutting-edge technology. In order to cultivate future animation talent, education programs need to cover production processes and methodologies drawn from the plastic arts, humanities and media technology. Korea National University of Arts, Tokyo University of the Arts, and Communication University of China play leading roles in educating animation creators who can play active roles in diverse fields within the ever-change animation industry. These universities strive to combine art and technology through constantly introducing new media technologies into their curriculums. International exchanges were initiated in 2010 as part of a broad effort to cultivate future global leaders. 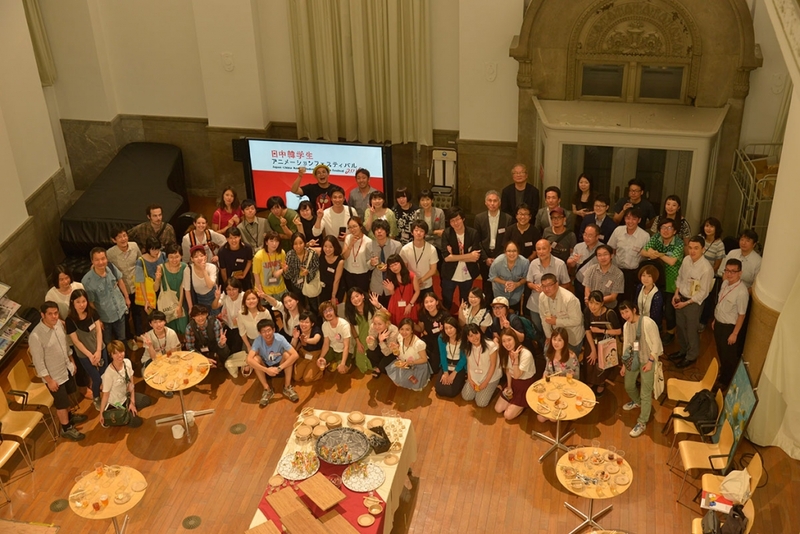 International co-work began in 2010 between Korea National University of Arts and Tokyo University of the Arts, and the project expanded to three countries with the participation of Communication University of China from 2012. Each year,students selected from the three universities form teams to collaborate through the entire animation production process, including pre-production, production, post-production and presentations of the completed works. The international co-work project is held over a three-to-four-month period as part of the regular curriculum for the three schools, and students are awarded credit according to university regulations. In the short-term exchange program, students engage in hands-on production and experimental research through dedicated workshops on new media technology, participation in international media festivals, and presentations of their work at conferences and forums. There are few examples of educational initiatives that not only encompass the entire animation process from concept to final work, but also involve collaborations among universities in different countries. Korea, China, and Japan are leaders in northeast Asia. This collaboration fosters creative and innovative global talents and paves the way to establish a joint degree program among the three countries, which will foster international exchange and strengthen their positions as centers of animation production and education in Asia. 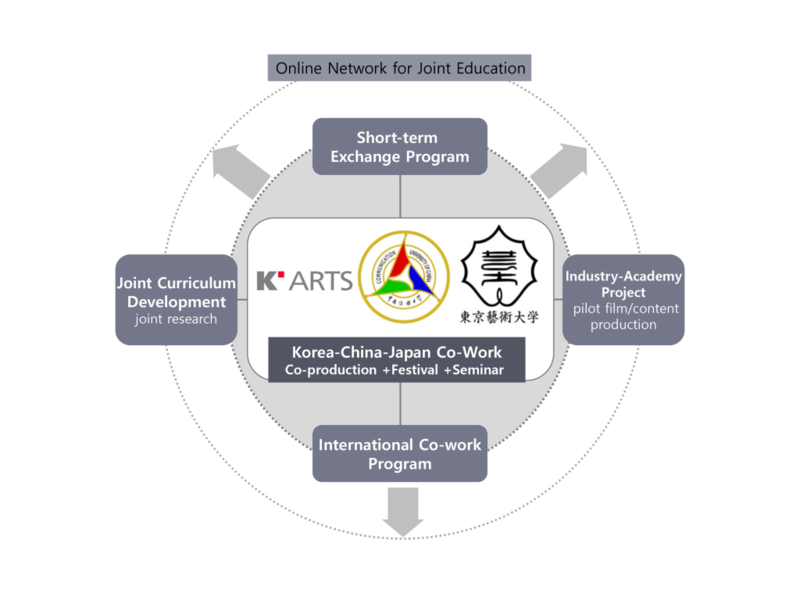 [Figure 1] Conceptualization of the establishment of International animation co-work and double degree program between Korea, China and Japan. Internships give graduates the opportunities to serve as assistants in future workshops. The internship program also connects students with animation production companies.